Life has many simple pleasures, but one of the best is the aroma of fresh coffee cake warming merrily in the oven. With rich overtones of cinnamon, walnuts and bubbly fruit filling, it’s what makes morning breakfast or afternoon tea something to look forward to. Just think what it would be like to enjoy a different variety of the world’s finest coffee cake every month for the next half-year. That’s what a 6-month gift subscription to our Coffee Cake of the Month Club will bring to any friend, family member, coworker or customer you specify—or, perhaps, even to your own doorstep. The star of this exciting once-a-month event: premium New England sour cream coffee cakes direct from the Superior Nut Company. These are always high on the list of our most popular items, and it’s not hard to understand why. They’re baked fresh for us each day by the nearby My Grandma’s Coffee Cake Company of Boston, from heirloom recipes that use only the best ingredients such as locally grown cranberries and blueberries, exotic spices, dairy sour cream and real Mariani walnuts. Now you or your gift recipient can enjoy a different premium variety each and every month, each as fresh and full of vibrant flavor as any you’ve ever had, guaranteed. 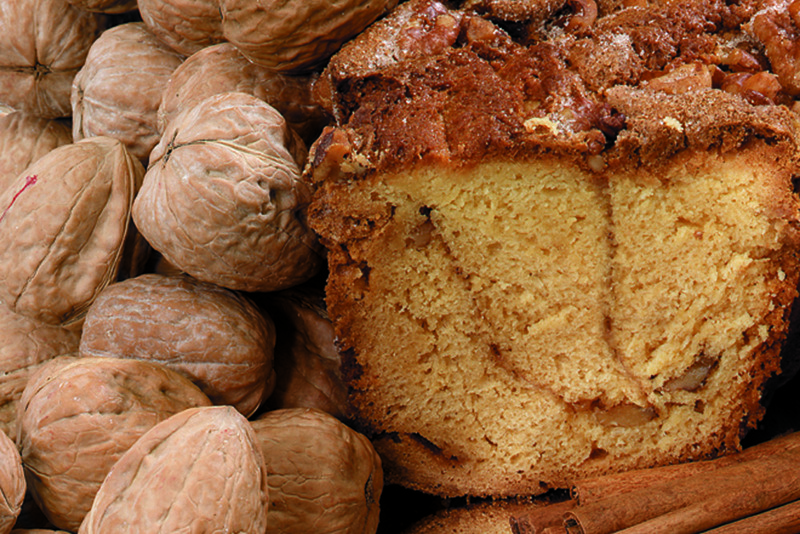 Joining our Coffee Cake of the Month Club is as simple as placing a one-time order—nothing could be easier, and the program runs automatically after that. You’ll receive the Selection of the Month right away, and then a different premium flavor will arrive on your doorstep as scheduled for the next five months. (Important note: we ship on the second Wednesday of each month.) And not only will you realize extra savings on your 6-month subscription, you’ll get free shipping too! For anyone who loves coffee cake, it’s an extraordinary opportunity to enjoy the very best, at a great price, and a superb gift idea. Each cake contains 10–14 generous servings; sign up today! 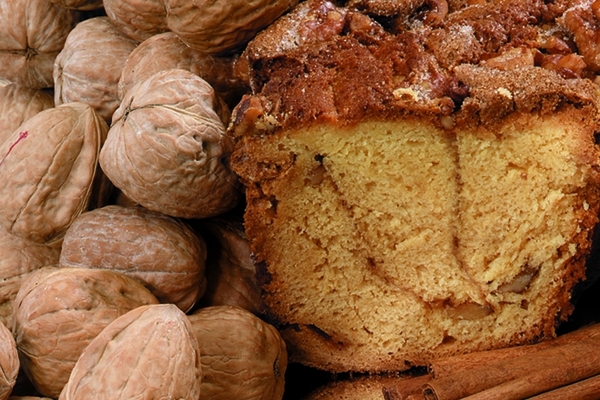 Parents who always want nothing loved this coffee cake and are looking forward to 5 more. We bought the 6 month subscription for our Mom who has everything and loves to enjoy a piece of coffee cake with her afternoon cup of joe. She has gotten so spoiled by looking forward each delivery and is thrilled to see what flavor has arrived that month that we just bought another 6 months of delivery! This little and delicious treat makes her so happy we are hooked. What's a little more cake when you're 90 years old? Each one is delivered as though it was freshly made. They are moist, flavorful and taste better than your favorite homemade recipe. Best of all, it's completely hassle-free. It doesn't get any better than this. Highly recommend this as a gift for anyone of any age. After such great review from my father regarding the coffee cake sent last year, decided to up the order & set him up on a 6 mos delivery of various coffee cakes. Needless to say, he's looking forward to the next month to see what the cake will be. He stated the cakes were truly good, fresh & plentiful. At age 91...its all about happiness.